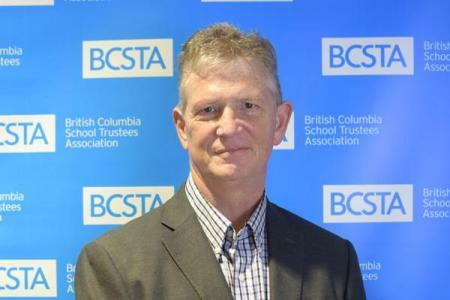 Mike Roberts is BCSTA’s Chief Executive Officer. As CEO, Mike is responsible to the BCSTA Board of Directors for the overall staff operations of the organization. He provides direct support to BCSTA’s president as well as boards of education. Mike has more than thirty years of experience in the education sector and has an extensive background in teaching, administration, labour relations and all levels of government including local school district, employers’ association and Ministry of Education work. Donna Depretto is BCSTA’s receptionist and provides clerical support. She has an Administrative Assistant certificate. Zorica Jovic brings with her over seven years of experience in supporting senior-level executives, meetings, training/seminars, trade-shows and conferences. She has a diploma in Media Techniques in Business and Communications from BCIT Vancouver. She also has a background in project management, event management, written and oral communication skills, stakeholder engagement (internal and external), evaluation and measurement. Mark Regier joined the Association’s staff in 2016, bringing with him years of communications experience from both the private and public sectors. He specializes in the areas of web/UI/UX design, public relations, member communications and marketing. Mark holds a Bachelor of Business Administration – Marketing Management (BBA) and a diploma in marketing. As part of the communications team, he provides oversight to BCSTA’s written publications and online presences. He also works closely with the IT manager in support of member services, such as the BCSTA HUB members area. In his role as part of the senior staff team, Mark provides various forms of assistance to the Association’s board and also supports various branches and committees as assigned. Hugh Blackman is responsible for the planning and organization of events and the development of resources in support of professional learning, including the Trustee Academy and New Trustee Orientation. 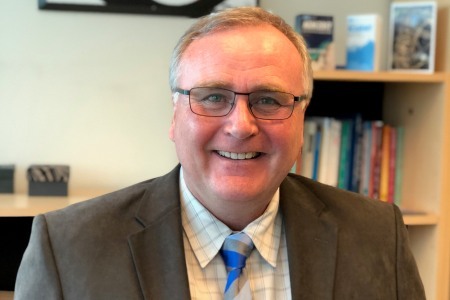 Hugh has obtained a Bachelor of Education, Professional Development Program (PDP), and Master of Education from Simon Fraser University and his background in K-12 public education is extensive, bringing a wide range of skills, knowledge and experience to BCSTA. His most recent assignment was as a senior principal with the Vancouver School District. Sara Hunter is responsible for planning, coordinating and the onsite operations of board of director and trustee professional development activities as well as BCSTA events and governance meetings. She coordinates services for events, such as contracting conference facilities and organizing meeting space, catering and audio-visual services. Prior to joining BCSTA, she worked in hotel sales and more recently meeting planning for a small association. Sara has a diploma in Tourism Management from Capilano University. Jodi Olstead obtained her CGA designation in 2003 and her Bachelor of Accounting Science degree in 2005. As BCSTA’s Director of Finance & Human Resources, Jodi has an internally-focussed portfolio with responsibility for BCSTA’s fiscal stewardship. She therefore reports out to the Finance & Audit Committee, Board of Directors, and Provincial Council. Jodi is also responsible for BCSTA’s human resource management needs. Elaine Teng holds a bachelor of Commerce degree from the University of British Columbia and is a designated Chartered Accountant. She has accounting experience in both public practice and private industry. Prior to joining BCSTA, she served as controller for a financial investment company for over ten years. Matt Taylor comes to BCSTA with a wide range of experience and training as an information technology professional. Prior to joining BCSTA, Matt invested 18 years in a variety of senior technical and service roles within local school board settings. A graduate of BCIT and Kwantlen Polytechnic, he continues to challenge himself academically by taking advanced courses at Thompson Rivers University. Charged with maintaining and improving BCSTA’s overall IT infrastructure and services, his areas of focus include managing document management systems, supporting web development and providing administrative oversight to BCSTA on-line learning technologies. Audrey Ackah obtained Honours Bachelor of Arts and Master of Arts degrees in Political Science from UBC. She was a BC legislative intern and had the opportunity to work in a government ministry and to work with members of the Legislative Assembly. She then obtained a law degree from the University of Toronto. Audrey practiced law at law firms and at a regulatory agency where she gained experience in the areas of school, employment, human rights, labour, litigation and information and privacy law. Audrey is BCSTA’s privacy officer and provides staff support to the Legislative Committee and the BCTF/BCSTA Group Life Insurance Committee. Taya Bocking joined BCSTA at the start of 2018 as the team’s legal assistant, bringing with her seven years of experience In the legal sector. Working closely with Audrey Ackah, Taya provides legal support services for BCSTA’s members and the association. Credited with a Legal Administrative Certificate, as well as an Associate of Arts Degree with an English Major from Capilano University, she has also completed numerous courses towards her paralegal diploma at the same institution. Taya works with BCSTA’s Legislative Committee.